Importantly, the plans should put the council on a firmer financial footing by generating business rates and rental income. This means that the council becomes less reliant on council tax and parking revenue to fund council services, such as social care, libraries and parks. This is particularly important as councils across the country have been receiving significantly less grant from central government each year and will need to be financially independent in the near future. I became a councillor because I am passionate about my town. I know our town centre is a top priority for our local residents. I have been realistic about the challenges the High Street faces: an increase in crime, shops closing, competition from online retail and increased rough sleeping. That is why I held a High Street Summit in September. As a result of this summit, we have: made progress in addressing issues of aggressive begging and rough sleeping, created a team of six community safety officers who are now patrolling the town centre and is helping connect rough sleepers to support services. However, I also recognise that the High Street and seafront need to adapt to survive. We cannot rely on retail alone. Right fit for our town? Ultimately, the Council’s Development Control Committee will determine whether Turnstone’s planning application is the right fit for our town and helps provide the right balance of uses. In brief, the planning application proposes an IMAX cinema, a Hollywood Bowl, restaurants and cafes, indoor leisure (such as rock-climbing, indoor golf and a gym), a Travelodge hotel and a new public square together with a 555 space multi-storey car park. The council is yet to set a date for the cross-party Development Control Committee to determine the application, as the plans must first be assessed by planning officers, after which there will be further public consultation. However, I thought it would be helpful to provide some facts and figures about the site and the application the council has received as well as dispelling some of the rumours that have been circulating. Firstly, the council has not sold the Seaways car park for £1! We have retained the freehold of the land and expect to receive an initial rent of £282k a year under the lease. This rent has (upward only) review points where the Council will receive a percentage of the income Turnstone receive across the site. Over and above this, once built, it is estimated the Council would receive £0.75m a year in additional business rates, increasing to £1.1m a year if the government, as expected, allows councils to retain 100% of business rates collected in future. The council would continue to receive parking revenue from the site until the development starts, at which point the rent (and subsequent business rates) is payable. The planning application includes 555 public car parking spaces. This is 75 more than the number provided at the site when the agreement was signed. Since then we have moved the coach parking elsewhere and acquired the Gasworks site, creating additional parking spaces. 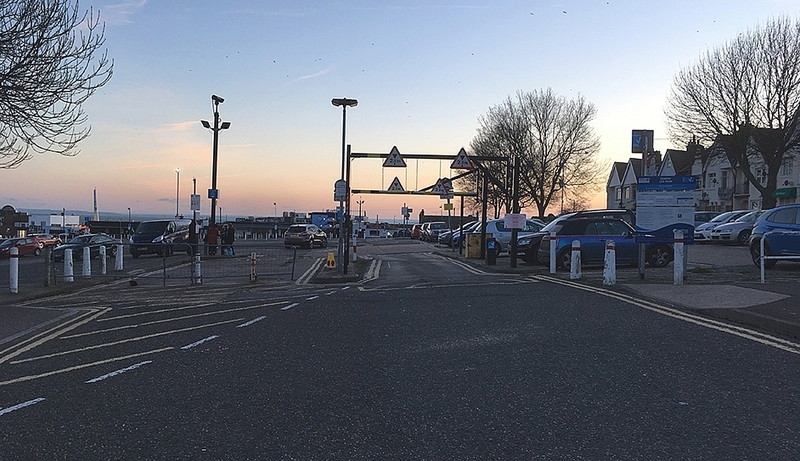 At present, Seaways car park generates a net income (after VAT and running costs are deducted) of around £330k a year, most of which is during the summer season. An all-weather leisure development would have year-round appeal, so it could be safely presumed that car parking revenue would in fact increase and the Council will continue to receive a share of this through the rent without the costs of managing it. The scheme could create up to 500 new jobs bringing an additional £12-£15m of added value to the local economy while the extra local spend resulting from the scheme is estimated at £16m. Given some of the fanciful figures being bandied about, I could forgive readers for thinking that this was a bad deal for the council and therefore for the council tax-payer. Due to commercial confidentiality, the council has had to keep quiet while it waited for the planning application. However, as I hope you can now see, exchanging the £330k net income from the Seaways car park for over £1m (and rising) we would receive under the Seaways development is clearly in in the best interests of Southend, its residents and businesses. The further clarification provided by Cllr.Courtenay is welcome. Turnstone, from its website, certainly seems to have an impressive track record of handling prestige developments, apart from perhaps its controversial Waterbeach new town project. Finances are key and the £45 - £50m. development will require funding. I would like to know how much is to be contributed by the Council so that we can compare the cost of the investment (which what it is) to ratepayers alongside the predicted hike in net income from £330k. to over £1m.per annum. Turning to the latest accounts of Turnstone Estates Limited, some £6.9m.of its £8.5m.total equity comprises amounts due from related parties/ subsidiaries. The Council, in conducting its due diligence quite separate from the planning process, will wish to be satisfied that these sums are recoverable.